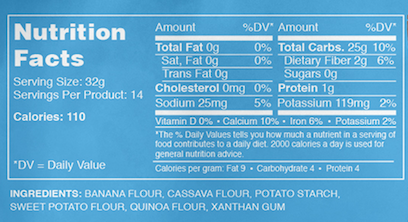 Our Superfood Flour is made with 100% fruits, vegetables and quinoa. The ingredients are organic banana flour, organic potato starch, organic cassava flour, organic quinoa flour, organic sweet potato flour and organic xanthan gum. Our Chocolate Chip Cookie Mix is made with Grainless Superfood Flour, organic coconut sugar, vegan chocolate chips, salt and baking soda. Our Pancake and Waffle Mix is made with Grainless Superfood Flour, organic coconut sugar, salt, baking powder and baking soda. 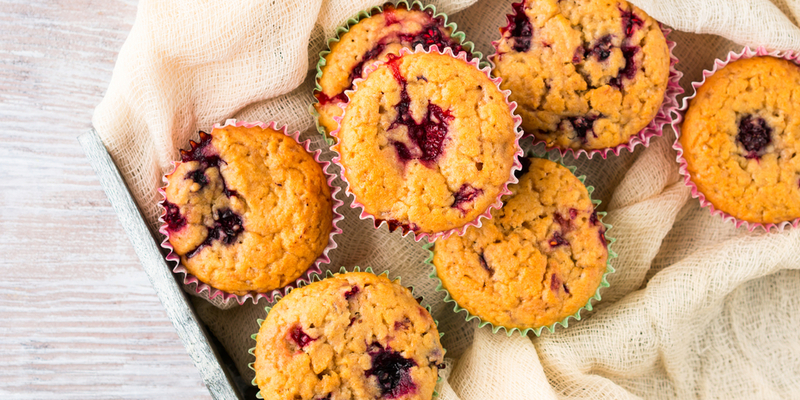 Our Cake and Muffin Mix is made with Grainless Superfood Flour, organic coconut sugar, salt, and baking powder. Grainless Baking Co. products are certified Gluten-Free (GFCO), Non-GMO (Non-GMO Project), Kosher (OU) and SQF Level 2 Certified. Is your product allergen free? All Grainless Baking Co. products are nut free, soy free, corn free and vegan. Most paleo friendly products are made with nut flour bases but Grainless Baking Co products are all Nut-Free.